UPE sponsors a number of events on campus that we believe are of interest to Rensselaer students. This list of events will be updated as we adjust our schedule throughout the semester. For information on our I/O lecture series, see our dedicated page. Weekly meetings are held on Wednesdays from 4-5pm in Amos Eaton Room 117 and are open to everyone. Interested in joining UPE? Complete your online application here. November 13, 2018: UPE Smackdown! Come join us as we discuss Preference Elicitation and Aggregation, a way to model cost-effective decision making! Ph. D candidate Zhibing Zhao talks about research in the field conducted under his research advisor, Professor Lirong Xia. Location and time: DCC 330 at 6:00 PM! Interested in joining UPE? Complete your online application here by noon April 11th. Come see the stunning conclusion for our competition! Interested in joining UPE? Submit your completed application to the mailbox in Lally 207 before noon. Get the application here. Enter our semesterly AI competition at npcompete.io! Don't think you can make an AI that will win in UPE's NP Compete Competition? Come learn the basics to get you through the competition. Want to learn about Search Engine Basics? Join UPE and Bloomberg at Amos Eaton 214 at 6PM! Join UPE for some interview prep before the career fair next week! 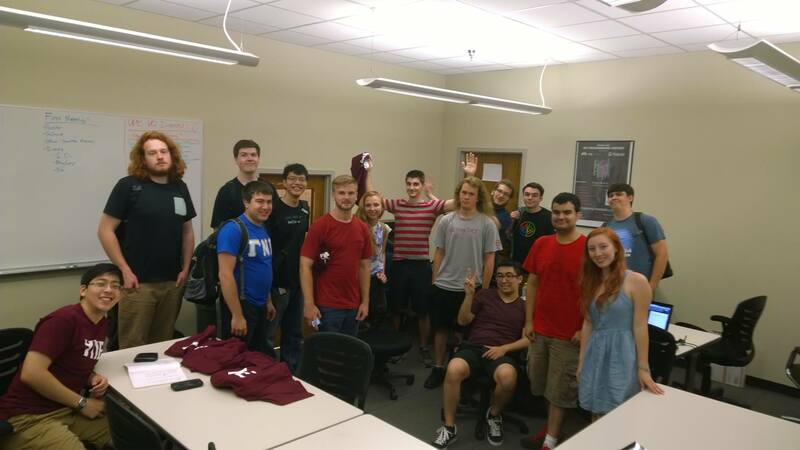 Think you can write the best bot at RPI? Prove it. To learn more about how to play and how to connect to the game, check out aicomp.io. All students in the RPI community are in invited to compete. In the past we have had sponsors such as Microsoft, Bloomberg, Palantir, and Google. This semester's prizes will soon be announced! Want to learn about Apache Spark in distributed systems and cloud computing? Come to our I/O! Want to prepare for the career fair this coming Friday? Come visit us in Amos Eaton 117 for some interview prep. Bring your resume! Are you interested in Artificial Intelligence or Machine Learning? Do you want to learn more? Come to our talk on Deep Learning on September 21, 2016 at 6:30 in Amos Eaton 214. Are you interested in Artificial Intelligence or Machine Learning? Do you want to learn more? Come to our talk on Deep Learning on December 9, 2015 at 6:30pm, location TBD. March 14, 2015: Pi Day! 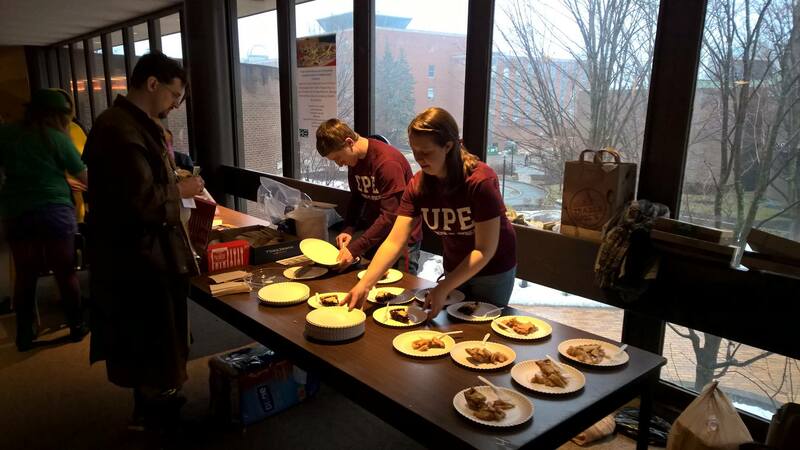 UPE celebrated 3.14.15 Day by selling pies at Genericon! Current active members are invited to submit their resumes to our chapter's offical resume book. This book will be handed out during the career fair. Get a job without waiting line! 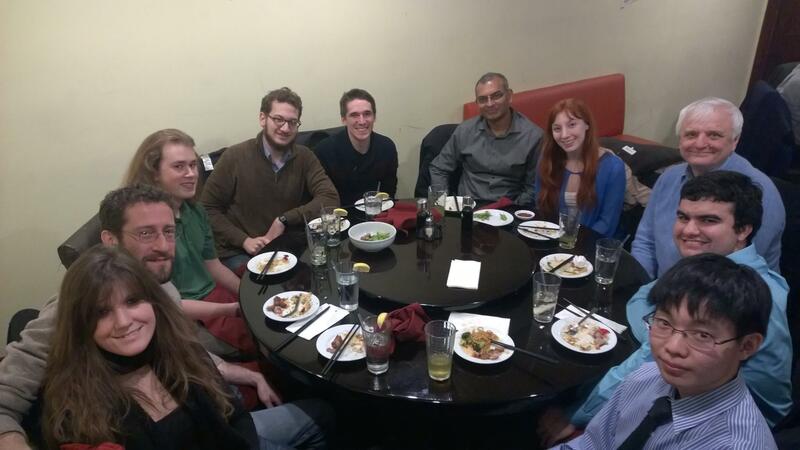 UPE Members got together and watched War Games, a staple movie in any Computer Scientist's movie repertoire! Come to learn more about UPE and about our application process. After a short information session, stick around for our regular weekly meeting. We usually discuss open projects, so bring ideas or get involved! Test your programming skills against the best and brightest RPI has to offer in this semester's Programming Competition. Compete to win prizes such as an iPad, a Nexus 7, and a PlayStation 3! 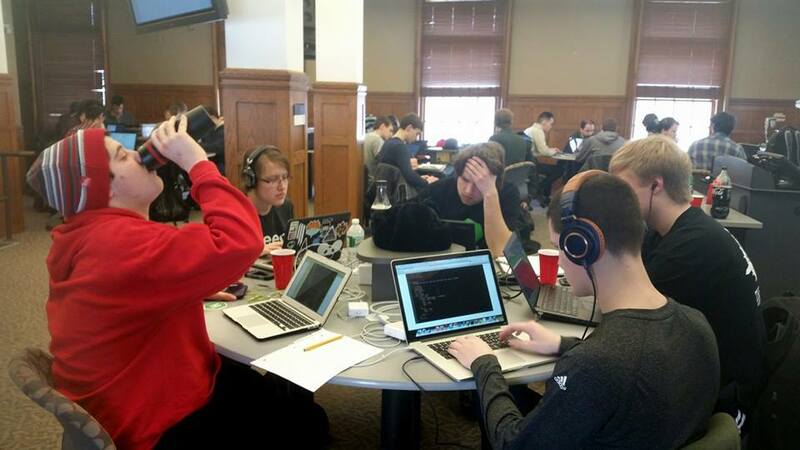 Visit the Programming Competition website for more information. Make sure you submit your application before the deadline! The goal is to introduce more people to the world of Open Source Software and spread knowledge to everyone about this phenomenon. We plan to have a series of speakers throughout the day who are willing to give a 20-minute presentation on any topic within the scope of Open Source Software. There will be a poster session that displays information on various aspects of Open Source Software. Projects done by RPI students will be highlighted. 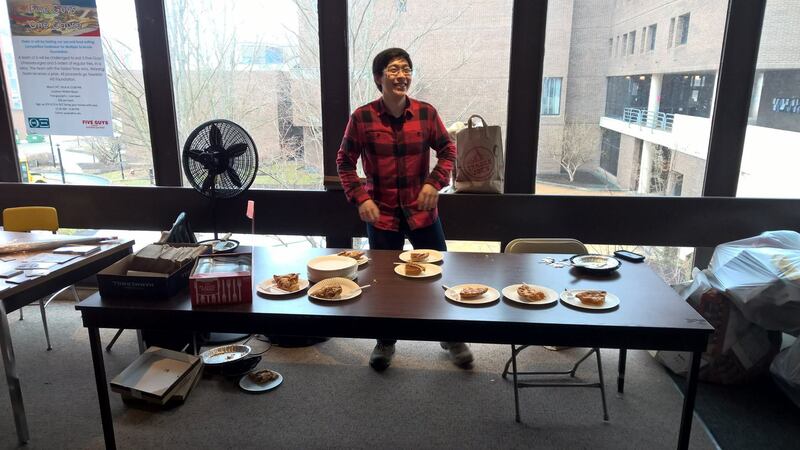 Benno was a hit at UPE's Pi day Pie Sale at Genericon 2015! Great turn out with 50+ attendees! First try with two different programming tracks. Jesse, a new UPE Member this semester, did a great job helping create the competition questions. A delicious buffet at Red and Blue! 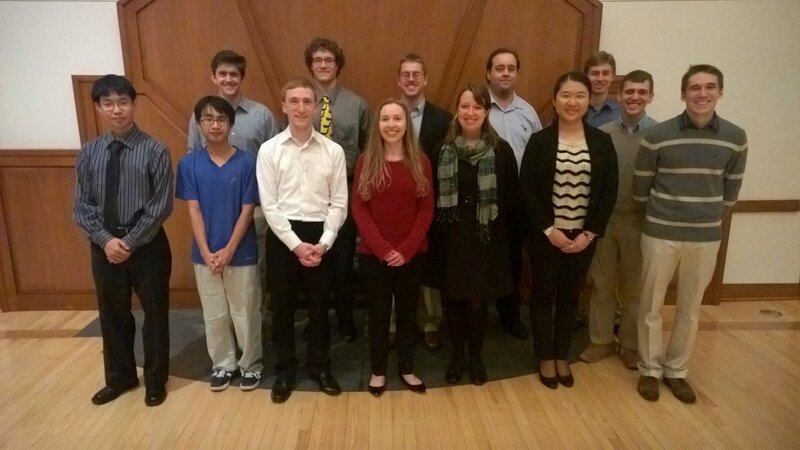 UPE Welcomes its new members!